Dabie Tsai is a former partner with KPMG, a global firm providing audit, tax, and advisory services. During her twenty-three years with the firm, she performed various leading roles related to her extensive list of specialties, which includes US GAAP and IFRS, and SEC 33 and 34 Acts filings for both domestic and foreign registrants. She is also an expert in SOX 404 controls and processes, consolidations, mergers and acquisitions, credit risk, financial instruments, and corporate governance matters. Dabie’s time with KPMG spanned a number of the firm’s practices including the US, Canada, Spain, and Chile. She is fluent in English, Spanish, and Chinese. Most recently, she served as the Global Lead Audit Engagement Partner for KPMG Spain’s largest global audit client, with assets in excess of 700 billion euros. 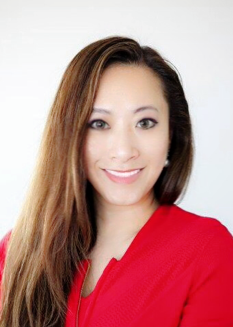 Before working with KPMG Spain, Dabie Tsai held various leadership roles with KPMG US. During that time she served as the Global Lead Partner for one of the world’s top Multilateral Development Banks, an institution focused on development in the Caribbean and Latin America. She also performed work for KPMG US’s largest global banking audit client, serving as the Lead Partner for the client’s Global Consumer Banking segment. Dabie Tsai has headed and participated in teams of reviewers for KPMG’s Quality Performance and Compliance Program in both Latin America and the US. She has also developed and delivered numerous national training sessions with topics touching on a range of disciplines including technical accounting matters and audit methodology. During her eleven years as an audit partner with KPMG, Dabie Tsai led the interactions with her clients’ audit committees, senior management, internal audit, and regulators. She has also led teams comprised of multidisciplinary professionals numbering upwards of 250 people across the world. While at KPMG, Dabie Tsai was recognized many times for her performance and talent (GazetteDay). This includes her receipt of the firm’s Mentoring Award, honoring her efforts in sponsoring young and upcoming employees. She also served as the Partner Champion for the firm’s Network of Women and its Asian Pacific Islanders Network. She was a member of the firm’s Lead Partners Forum and the KPMG Executive Leadership Institute for Women. She is a graduate of the KPMG-INSEAD International Banking Executive Programme. Outside of her profession, Dabie serves as the Audit Committee Chair and member of the Board of Directors of Oxfam America, an organization dedicated to eradicating poverty. She is also the former Acting Audit Committee Chair and member of the Board of Directors of Kansas City Young Audiences. Dabie Tsai pursues a wide range of activities in her personal life. She is passionate about travel and has lived in five countries on four different continents. With a deep interest in accumulating and sharing knowledge, she is a committed reader who has published in a leading financial newspaper and speaks often to audiences at public forums and universities. She is a dedicated patron of the arts with a particular interest in ballet. Dabie is also an accomplished musician in her own right, holding degrees in piano performance from the Royal College of Music in Toronto, Canada and the London College of Music in England. I have many, starting with my parents, of course. Both of them are extremely hard-working, committed professionals and dedicated their lives to helping to cure patients. My parents provided me with a great upbringing and gave me many tools to be successful. One of the historical figures I most admire is Empress Catherine the Great of Russia. The fact that she was from a minor German principality, but went to Russia and made the country, the language and the culture her own and led the country in such a golden age is something I look up to – that with adaptability, perseverance, and dedication, you can succeed anywhere. Be kind. We live in such a chaotic world today. The wonderful advent of internet and social media has unfortunately also encouraged some to use the internet to indiscriminately attack others. If we can all be more kind, more thoughtful, more open, the world would be a much better place. I am very disciplined and organized. I like to start my day early, with a clear head. I make lists of things I want to accomplish. I love to be able to scratch out lines on my list! The accomplishment of each little task gives me a sense of satisfaction, which allows me to work towards my goals. Everyone has doubts from time to time, and I do too. Given I’ve taken on many challenges throughout my career: relocated to serve my clients, learned multiple languages, and lived in five different countries in four continents, there have been many occasions where I wondered if I would be able to thrive and succeed in a new environment and a new situation. Anytime I felt uncertain, I’d remind myself that I can do it, I have done it before, and that I want to embrace it as a new challenge and work hard through it. The satisfaction I have from having succeeded in each of these new and different situations is something that further strengthens me to take on new challenges in the future. I am a passionate and committed leader. I believe in earning the respect and trust of people, and I work hard at it. I am a huge believer in mentoring and sponsoring talent. As a leader, I firmly believe you always want to work yourself out of a job! This way, you can continue to move forward and take on the next challenge while you have provided someone after you with an opportunity. I think of myself as an absolute global citizen, and that cultural awareness and openness serve me well in today’s ever connecting world. I also really care about people, and I am a tough but fair boss. I have high expectations for everyone, starting with for myself. That will, perseverance, and dedication coupled with hard work have allowed me to succeed. Can you describe your general decision-making process? Confirm your decision by checking with your gut! Your head or your heart may lead you in different directions, but always trust your gut. I am the Audit Committee Chair and member of the Board of Directors of Oxfam America, an organization dedicated to eradicating poverty. I was also the former Acting Audit Committee Chair and member of the Board of Directors of Kansas City Young Audiences. I have been very blessed in my life and I want to give back and pay it forward.